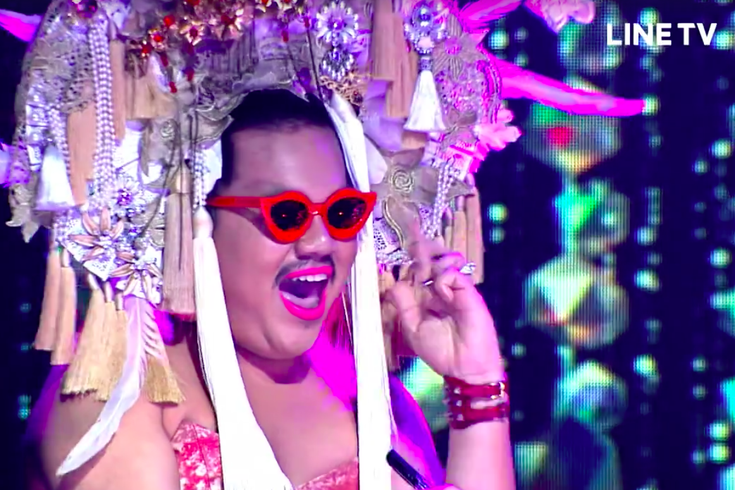 The super trailer for 'Drag Race Thailand' is the most amazing non-Eagles thing you'll see this week. Listen, I realize pretty much everybody in the Philadelphia area's mind revolves around that certain football championship that came out of nowhere and brought unfathomable joy to the region. This is OK. I am right there with you. Was Philly drag queen's outfit really too 'ethnic' for South Jersey salon? Infrequently Asked Questions: How do drag queens 'tuck'? However, in the days leading up to the Super Bowl, I saw a Tweet about a foreign television show that was nothing short of mesmerizing. I want to share this with you so you can revel in its absurd splendor. The name of the show is "Drag Race Thailand." I do not speak Thai, but I was able to gather from the two-minute, 23-second video embedded below is that it's a reality-TV competition of sorts pitting drag queens from throughout Southeast Asia against one another. The reactions - particularly Annee Maywong's at the 0:50 mark – are so catty in the RuPaul's Drag Race spinoff that I. can't. even. When I looked up whatever Line TV is, an ominous message appeared the screen: "Sorry, LINE TV is not available in your country yet. LINE TV is trying hard to make its content available worldwide." What a bummer. Try harder, LINE TV; the world needs to see this show in all its glory. But in the meantime, keep close tabs on the show's Facebook and Twitter accounts for updates once the show goes live on Feb. 15.